Interview: Brandon Sanderson joins us this week with much to talk about! 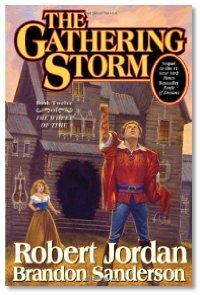 He tells us about working on finishing The Wheel of Time series, and having to look at the story in a different light from when he was a fan reading the stories. Brandon also talks about the Writing Excuses podcast, about some of his own projects that will be coming along soon, and the evolution of his own writing ever since his first book was published. After listening to Brandon and the guys talking writing every week in Writing Excuses, it was good to hear Brandon talk more about his own work, especially his experiences of working on a series that he started reading as a kid. I completely understood the way he described certain passages evoking strong memories. I have the same thing with Dune. Once again Mike Stackpole asked some insightful questions, it's so good having a writer of his experience interviewing other authours.